Welcome to the "FHWA Works: Careers in Motion Employee Spotlight" series, a look into the careers and lives of Federal Highway Administration employees. Each month, we will introduce you to one of nearly 3,000 FHWA colleagues and highlight the important work they do. Our employees come from all corners of the agency but all offer the same, yet unique sense of dedication and professionalism, all while keeping America's roads and bridges safe. 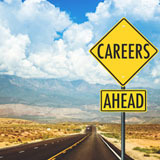 Check out whose career is in motion and how #FHWAWorks! Discover exactly why our agency is celebrating being ranked in the Top 10 percent of "Best Places to Work in Federal Government!" To learn more about how FHWA Works, explore the video series on YouTube or FHWA's LinkedIn page. 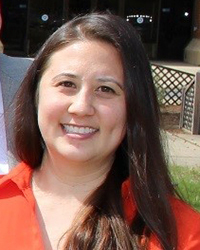 FHWA Works: Employee Spotlight - Michelle Arnold, Ph.D.
Full Name: Michelle Arnold, Ph.D.
What is your current position and how long have you been in this role? My current position is a research transportation specialist on the Human Factors team at Turner-Fairbank Highway Research Center. I joined Federal Highway Administration's Office of Safety R&D in 2014. My experiences in research include driving simulation studies and human factors research projects using the Sign Lab, and field research vehicles. I’m also the FHWA technical lead for the Traffic Control Devices Pooled Fund Study (TCD PFS) Consortium, lead projects in connected/automated vehicle research and continue to manage projects related to visibility and driving behavioral data. In my role as a researcher, I lead multiple research projects and many of these are conducted in our Human Factors Labs–so constant communication with our onsite support staff is key. As I lead and manage this research, I’m involved in all aspects from beginning to end. I read and review a variety of deliverables (including literature reviews, research plans, and research reports) and also write technical reports. I work to disseminate these results by sharing the knowledge to others within and outside of FHWA. Our human factors program within FHWA is a support program for other offices and it is necessary to collaborate, so I also serve as technical reviewer for multiple projects within FHWA and sometimes outside of FHWA. What has been your biggest accomplishment over the last year? Each year our TCD PFS Consortium has an annual meeting. This pooled fund has roughly 30 members of regional, state, and local entities, appropriate organizations, and the FHWA; and the meeting takes place at a different location in April or May each year. The planning that goes into this annual meeting is extensive. Although I have a wonderful support team who help to make this annual meeting happen, it still involves a lot of oversight and making sure the different components all line up as this meeting is planned. I’m happy to say that this year’s meeting is planned and ready to begin. Prior to working at FHWA, what was the most unusual or interesting job you've ever had? In graduate school I was the first person in our psychology lab to conduct research using our new driving simulator. Since I was the first person to tackle research using this tool, and the only person at that time who wanted to pursue transportation safety research using the simulator, I was given full reign to find gaps in the literature in areas of interest and learn about the simulator on my own. I spent numerous hours exploring ways to program the computer simulations and was given permission to hire undergraduates to help with my research. As a fresh new graduate student, this was the best experience for me because I learned a lot on my own but also had full support of my advisor and helping hands to perform a variety of research. I enjoy spending time with my husband and toddler. With a toddler in the house, my hobbies are centered around activities he likes to do such as playing outdoors or going to parks and zoos. I am also expecting twins any day now, but prior to this, I enjoyed being outdoors and doing activities such as hiking or playing sports. I hope to get back into doing these things after the twins are born. There are a few things I’ve learned in my career and one such thing is to not be afraid to say yes even when you don’t feel comfortable performing the task. This is how I learned many different areas that have helped me to learn new things, to build my repertoire and expertise in research, and constantly evolve. Another lesson is to always give credit where credit’s due and be appreciative of those who help you along the way. I believe you go far in life doing good work and always thanking and showing appreciation for those who’ve helped you and then reciprocate and help others when they need it. Who do you admire in the transportation field and why? I admire a lot of people in the transportation field but I believe the person I admire the most is my graduate advisor, Dr. Ron Van Houten. He carries a passion for this field and is always trying to find new ways to save people’s lives in transportation research. I strive to be like him in my career. Complete this sentence: "People would be surprised if they knew..."
When I was young, my dream job was to be a member of the Publishers Clearing House Prize Patrol. I thought it’d be fulfilling to hop out of a van and surprise winners with large oversized checks and big bouquets of flowers and see the happy faces of the winners. Full Name: David Mensching, Ph.D., P.E. Full Name: Hoda Azari, PH.D.
Full Name: Abdul Zineddin, Ph.D.
Full Name: Norah M. Ocel, P.E.